Illustration of cut-and-cover work depicting the installation of beams to support street decking. 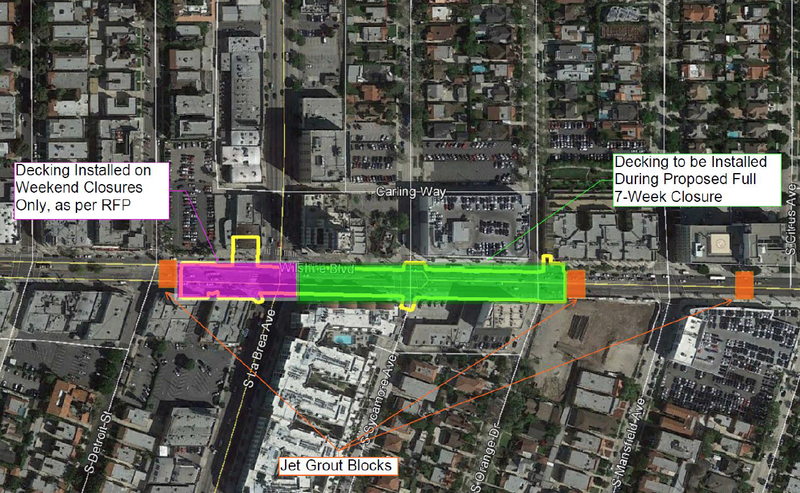 Metro is seeking community support to close Wilshire Boulevard from La Brea Avenue to Highland Avenue for 7 weeks in early 2016 to install temporary street decking to speed up construction of the Wilshire/La Brea subway station. Originally, Metro had proposed doing the decking over 16 consecutive weekends. The “cut-and-cover” process would begin in November 2015 and involves the installation of piles – vertical steel posts drilled into the ground – along both sides of Wilshire, followed by the removal of the pavement on Wilshire from Detroit to just east of Orange Drive. Once the pavement is removed, a trench 10-to-12 feet deep is excavated. Then horizontal beams are affixed atop the piles to support temporary concrete deck panels which will form a new street surface. The closures for street decking would begin next Spring. 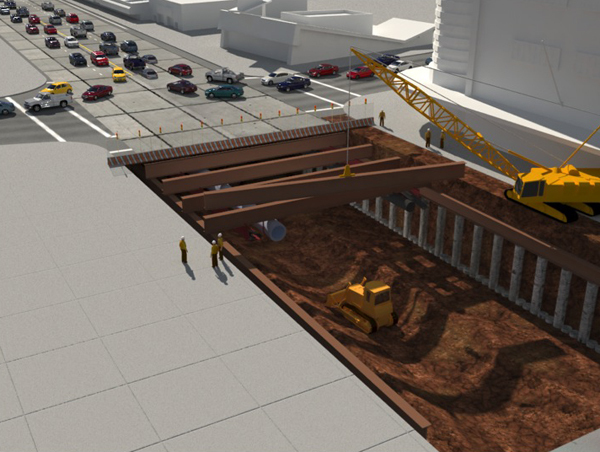 Once the temporary roadway is in place, the underground station will be constructed beneath the decking. As depicted in the illustration above, Metro’s proposed 7-week accelerated schedule would only apply to the section in green – immediately east of the intersection of Wilshire and La Brea to just east of Orange Drive. The cut-and-cover construction from Detroit through the intersection of La Brea and Wilshire (shown in purple) is not part of the accelerated proposal. Because this is a major intersection the decking of this section will be done over a total of 6 weekends, which will require around-the-clock construction from 8 PM Friday evening to 6 AM Monday morning. 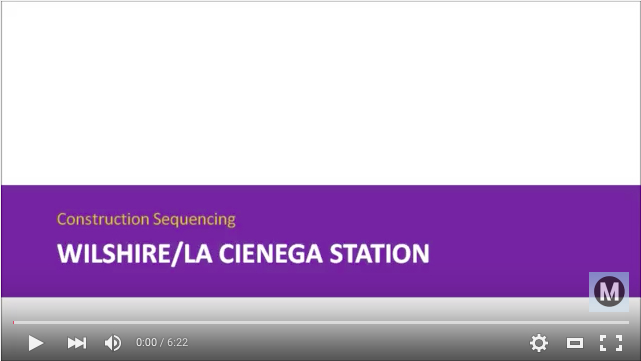 During the first 3 weekends Metro crews will deck Wilshire from Detroit to just west of La Brea; the following 3 weekends the intersection of La Brea and Wilshire will receive its deck. Metro’s accelerated 7-week proposal to close Wilshire from the intersection at La Brea to Highland will allow for a 7-days-a-week schedule with the noisier work conducted from 7 AM to 11 PM and quieter underground work beneath the concrete deck panels from 11 PM to 7 AM. Although through traffic on Wilshire between La Brea and Highland would be detoured, local access to businesses and residences will be maintained. 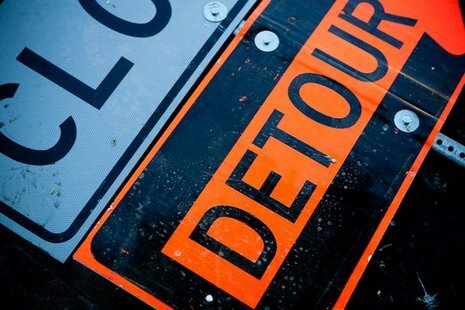 Eastbound Wilshire traffic will be detoured south on La Brea, east on Olympic, and north on Highland. Westbound Wilshire traffic will be detoured south on Highland, west on Olympic, and north on La Brea. Neither 6th St. or 8th St. would be utilized as detour routes. Los Angeles Department of Transportation (LADOT) traffic officers would be deployed throughout the area to direct traffic. These detour routes will be used whether or not the accelerated 7-week schedule or the original 16-weekend schedule is chosen. The MMRA has not yet taken an official position on this accelerated 7-week proposal. MMRA officers have met with Metro to discuss the proposal and are now consulting with local residents, business owners, the Miracle Mile Chamber of Commerce, La Brea/Hancock Homeowners Association, and other community organizations. Residents and local business owners can weigh in on this issue via our online poll below. The advantages of the 7-week schedule for Metro are obvious – it is a far more efficient way of accomplishing this complicated task. The advantage for the nearby residents is that it greatly reduces noise disturbances between the hours of 11 PM and 7 AM. The time constraints of limiting this work to weekends would require that pavement demolition and excavation be conducted all night long over a 16 week time period. The MMRA’s position opposing nighttime subway construction is well known. Our “Sleepless in the Miracle Mile” petition campaign generated strong support from the community. But the MMRA has always acknowledged that the weekend cut-and-cover work at major intersections required nighttime activity and our opposition to nighttime work purposely exempted this particular aspect of subway construction. However, there are cons to this proposal. A 7-week closure could magnify the economic impact on local businesses. The MMRA is particularly concerned for small businesses that are popular with our residents. Larger corporate owned entities have the financial resources to withstand a sustained 7-week interruption of through traffic on Wilshire Boulevard. The independently owned and operated stores and restaurants are much more vulnerable. Traffic impacts on Highland Avenue might also be considerable. Highland narrows to one lane in each direction south of Wilshire and detour-related bottlenecks could push traffic onto all the feeder streets in the surrounding blocks, particularly 8th St. Neighborhood schools may be hit the hardest. 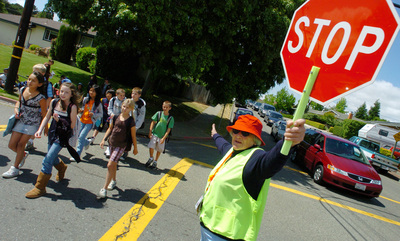 Children at Wilshire Crest (Sycamore and Olympic), Cathedral Chapel (8th and Cochran), Wilshire Private (Longwood and Wilshire), and John Burroughs Middle School (McCadden and Wilshire) will be exposed to the general crush of continual traffic. Burroughs students, in particular, may provoke the ire of already frustrated drivers, when they cross on foot at the intersection at Highland and Wilshire. The corner has the potential to become a perfect storm between pedestrian and automotive traffic. In relative terms, the original plan of weekends-only closures would likely mean less traffic intrusion into our neighborhood. Weekday car trips – which include employees going to and from work in the Miracle Mile, parents ferrying school children, and such things as business deliveries – far out-number weekend journeys. Fewer cars equate to less cut-through traffic on residential streets and traffic jams at major intersections. By November 12, 2015 Metro needs to determine whether to proceed with the accelerated 7-week schedule, or they’ll run out of time to seek approvals from various city agencies. The MMRA board of directors with make a formal decision on the proposal at its next board meeting on November 5, 2015. The MMRA is a consensus based organization. We encourage residents and local business owners to share your opinions on this proposal. We use SurveyMonkey for our polls. It is a secure and simple way to gather your input. Poll participants are anonymous and your honesty is welcomed.